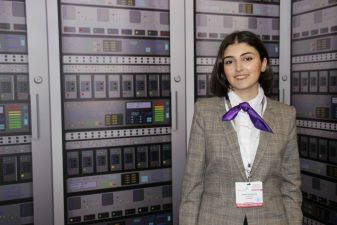 Our company, as a hosting provider, participates in Bakutel for the first time; we hope that such a representative event will help find new customers, partners, and establish international business contacts. Hostimul was established by private individuals in Azerbaijan in 2017. Our company specializes in domain registration services, which is the most important condition for creating any websites, and at an affordable price, differentiated tariffs with a guarantee of uninterrupted operation of all systems. Among other services - VPS-cloud, virtual hosting, dedicated server rental. We are ready to compete with similar companies and even to enter the foreign market, because we have advanced technology, because our base DATA-centers are located in the United States and in France. Our equipment meets the latest technology, we provide quality services with 24/7 technical support (uninterrupted operation is 99.8%). If your purchase a hosting from us, you will be provided with additional services, including a free SSL Certificate (used to establish an encrypted connection and allows you to safely transfer data between the user's browser and the server), daily virus checks. By participating in Bakutel, we want more people to know about us, we hope for interest from serious companies. We have scheduled B2B meetings at the exhibition, a series of negotiations, the success of which is what we very much hope for.